The technology behind Google Translate is called Machine Translation. It has changed the world by allowing people to communicate when it wouldn’t otherwise be possible. But we all know that high school students have been using Google Translate to… umm… assist with their Spanish homework for 15 years. Isn’t this old news? It turns out that over the past two years, deep learning has totally rewritten our approach to machine translation. Deep learning researchers who know almost nothing about language translation are throwing together relatively simple machine learning solutions that are beating the best expert-built language translation systems in the world. The technology behind this breakthrough is called sequence-to-sequence learning. It’s very powerful technique that be used to solve many kinds problems. After we see how it is used for translation, we’ll also learn how the exact same algorithm can be used to write AI chat bots and describe pictures. So how do we program a computer to translate human language? We just replace each Spanish word with the matching English word. This is easy to implement because all you need is a dictionary to look up each word’s translation. But the results are bad because it ignores grammar and context. That worked! If we just keep adding more rules until we can handle every part of grammar, our program should be able to translate any sentence, right? This is how the earliest machine translation systems worked. Linguists came up with complicated rules and programmed them in one-by-one. Some of the smartest linguists in the world labored for years during the Cold War to create translation systems as a way to interpret Russian communications more easily. Unfortunately this only worked for simple, plainly-structured documents like weather reports. It didn’t work reliably for real-world documents. The problem is that human language doesn’t follow a fixed set of rules. Human languages are full of special cases, regional variations, and just flat out rule-breaking. The way we speak English more influenced by who invaded who hundreds of years ago than it is by someone sitting down and defining grammar rules. After the failure of rule-based systems, new translation approaches were developed using models based on probability and statistics instead of grammar rules. Building a statistics-based translation system requires lots of training data where the exact same text is translated into at least two languages. This double-translated text is called parallel corpora. In the same way that the Rosetta Stone was used by scientists in the 1800s to figure out Egyptian hieroglyphs from Greek, computers can use parallel corpora to guess how to convert text from one language to another. Luckily, there’s lots of double-translated text already sitting around in strange places. For example, the European Parliament translates their proceedings into 21 languages. So researchers often use that data to help build translation systems. Next, we will translate each of these chunks by finding all the ways humans have translated those same chunks of words in our training data. Even the most common phrases have lots of possible translations. Some of these possible translations are used more frequently than others. Based on how frequently each translation appears in our training data, we can give it a score. For example, it’s much more common for someone to say “Quiero” to mean “I want” than to mean “I try.” So we can use how frequently “Quiero” was translated to “I want” in our training data to give that translation more weight than a less frequent translation. Next, we will use every possible combination of these chunks to generate a bunch of possible sentences. I love | to leave | at | the seaside | more tidy. I mean | to be on | to | the open space | most lovely. I like | to be |on | per the seaside | more lovely. I mean | to go | to | the open space | most tidy. I try | to run | at | the prettiest | open space. I want | to run | per | the more tidy | open space. I mean | to forget | at | the tidiest | beach. I try | to go | per | the more tidy | seaside. To do this, we compare each generated sentence to millions of real sentences from books and news stories written in English. The more English text we can get our hands on, the better. I try | to leave | per | the most lovely | open space. It’s likely that no one has ever written a sentence like this in English, so it would not be very similar to any sentences in our data set. We’ll give this possible translation a low probability score. I want | to go | to | the prettiest | beach. This sentence will be similar to something in our training set, so it will get a high probability score. After trying all possible sentences, we’ll pick the sentence that has the most likely chunk translations while also being the most similar overall to real English sentences. Our final translation would be “I want to go to the prettiest beach.” Not bad! Statistical machine translation systems perform much better than rule-based systems if you give them enough training data. Franz Josef Och improved on these ideas and used them to build Google Translate in the early 2000s. Machine Translation was finally available to the world. Statistical machine translation systems work well, but they are complicated to build and maintain. Every new pair of languages you want to translate requires experts to tweak and tune a new multi-step translation pipeline. Because it is so much work to build these different pipelines, trade-offs have to be made. If you are asking Google to translate Georgian to Telegu, it has to internally translate it into English as an intermediate step because there’s not enough Georgain-to-Telegu translations happening to justify investing heavily in that language pair. And it might do that translation using a less advanced translation pipeline than if you had asked it for the more common choice of French-to-English. Wouldn’t it be cool if we could have the computer do all that annoying development work for us? The holy grail of machine translation is a black box system that learns how to translate by itself— just by looking at training data. With Statistical Machine Translation, humans are still needed to build and tweak the multi-step statistical models. In 2014, KyungHyun Cho’s team made a breakthrough. 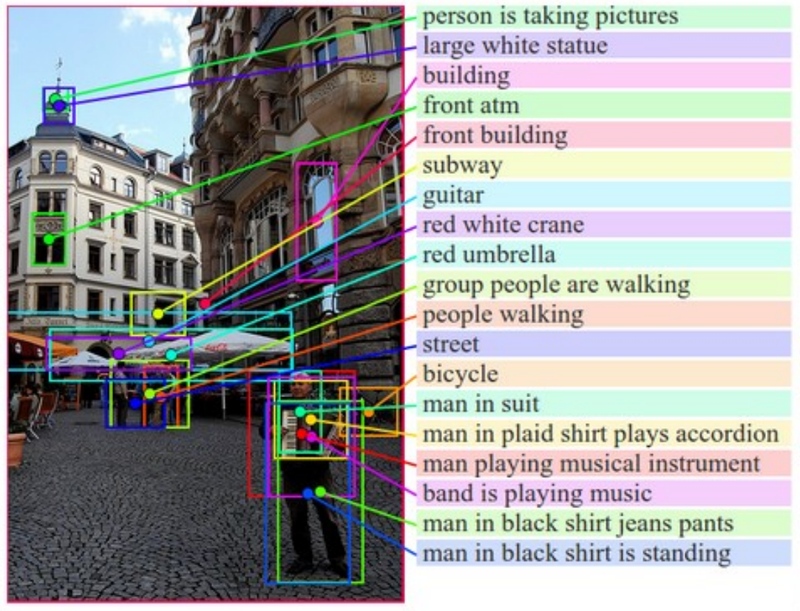 They found a way to apply deep learning to build this black box system. Their deep learning model takes in a parallel corpora and and uses it to learn how to translate between those two languages without any human intervention. Two big ideas make this possible — recurrent neural networks and encodings. By combining these two ideas in a clever way, we can build a self-learning translation system. 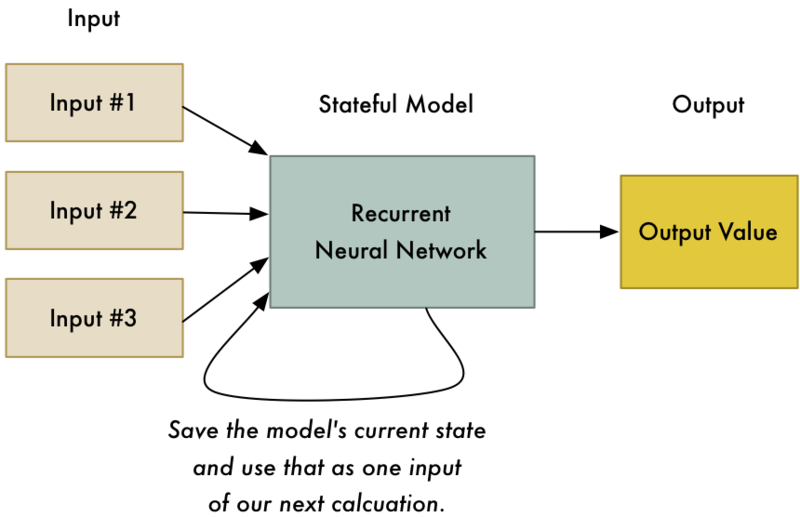 We’ve already talked about recurrent neural networks in Part 2, but let’s quickly review. But like most machine learning algorithms, neural networks are stateless. You pass in a list of numbers and the neural network calculates a result. If you pass in those same numbers again, it will always calculate the same result. It has no memory of past calculations. In other words, 2 + 2 always equals 4. A recurrent neural network (or RNN for short) is a slightly tweaked version of a neural network where the previous state of the neural network is one of the inputs to the next calculation. This means that previous calculations change the results of future calculations! Humans hate him: 1 weird trick that makes machines smarter! Why in the world would we want to do this? Shouldn’t 2 + 2 always equal 4 no matter what we last calculated? RNNs are useful any time you want to learn patterns in data. Because human language is just one big, complicated pattern, RNNs are increasingly used in many areas of natural language processing. If you want to learn more about RNNs, you can read Part 2 where we used one to generate a fake Ernest Hemingway book and then used another one to generate fake Super Mario Brothers levels. The other idea we need to review is Encodings. We talked about encodings in Part 4 as part of face recognition. To explain encodings, let’s take a slight detour into how we can tell two different people apart with a computer. When you are trying to tell two faces apart with a computer, you collect different measurements from each face and use those measurements to compare faces. For example, we might measure the size of each ear or the spacing between the eyes and compare those measurements from two pictures to see if they are the same person. I love this dumb gif from CSI so much that I’ll use it again — because it is somehow manages to demonstrate this idea clearly while also being total nonsense. The idea of turning a face into a list of measurements is an example of an encoding. We are taking raw data (a picture of a face) and turning it into a list of measurements that represent it (the encoding). These facial feature measurements are generated by a neural net that was trained to make sure different people’s faces resulted in different numbers. This is our encoding. It lets us represent something very complicated (a picture of a face) with something simple (128 numbers). Now comparing two different faces is much easier because we only have to compare these 128 numbers for each face instead of comparing full images. This list of numbers represents the English sentence “Machine Learning is Fun!”. A different sentence would be represented by a different set of numbers. Because the RNN has a “memory” of each word that passed through it, the final encoding it calculates represents all the words in the sentence. Great, so now we have a way to represent an entire sentence as a set of unique numbers! We don’t know what each number in the encoding means, but it doesn’t really matter. As long as each sentence is uniquely identified by it’s own set of numbers, we don’t need to know exactly how those numbers were generated. Ok, so we know how to use an RNN to encode a sentence into a set of unique numbers. How does that help us? Here’s where things get really cool! And just like that, we have a generic way of converting a sequence of English words into an equivalent sequence of Spanish words! This approach is mostly limited by the amount of training data you have and the amount of computer power you can throw at it. Machine learning researchers only invented this two years ago, but it’s already performing as well as statistical machine translation systems that took 20 years to develop. This doesn’t depend on knowing any rules about human language. The algorithm figures out those rules itself. This means you don’t need experts to tune every step of your translation pipeline. The computer does that for you. This approach works for almost any kind of sequence-to-sequence problem! And it turns out that lots of interesting problems are sequence-to-sequence problems. Read on for other cool things you can do! Note that we glossed over some things that are required to make this work with real-world data. For example, there’s additional work you have to do to deal with different lengths of input and output sentences (see bucketing and padding). There’s also issues with translating rare words correctly. If you want to build your own language translation system, there’s a working demo included with TensorFlow that will translate between English and French. However, this is not for the faint of heart or for those with limited budgets. This technology is still new and very resource intensive. Even if you have a fast computer with a high-end video card, it might take about a month of continuous processing time to train your own language translation system. Also, Sequence-to-sequence language translation techniques are improving so rapidly that it’s hard to keep up. Many recent improvements (like adding an attention mechanism or tracking context) are significantly improving results but these developments are so new that there aren’t even wikipedia pages for them yet. If you want to do anything serious with sequence-to-sequence learning, you’ll need to keep with new developments as they occur. So what else can we do with sequence-to-sequence models? About a year ago, researchers at Google showed that you can use sequence-to-sequence models to build AI bots. The idea is so simple that it’s amazing it works at all. First, they captured chat logs between Google employees and Google’s Tech Support team. Then they trained a sequence-to-sequence model where the employee’s question was the input sentence and the Tech Support team’s response was the “translation” of that sentence. When a user interacted with the bot, they would “translate” each of the user’s messages with this system to get the bot’s response. Machine: may i know the version of network connect you connect? Machine: is the network connect prompting for any user certificate? Machine: are you at home or at work at the moment? office? Human: yes, now it works! Machine: great. anything else that i can help? Human: my name is david. what is my name? Human: my name is john. what is my name? Human: are you a leader or a follower? Human: are you a follower or a leader? This is only the beginning of the possibilities. We aren’t limited to converting one sentence into another sentence. It’s also possible to make an image-to-sequence model that can turn an image into text! And just like that, we can turn pictures into words (as long as we have lots and lots of training data)! There’s even researchers working on the reverse problem, generating an entire picture based on just a text description! Just from these examples, you can start to imagine the possibilities. So far, there have been sequence-to-sequence applications in everything from speech recognition to computer vision. I bet there will be a lot more over the next year. If you liked this article, please consider signing up for my Machine Learning is Fun! email list. I’ll only email you when I have something new and awesome to share. It’s the best way to find out when I write more articles like this. Now continue on to Machine Learning is Fun! Part 6!